Fall is a beautiful time to explore a new lake or river near you. 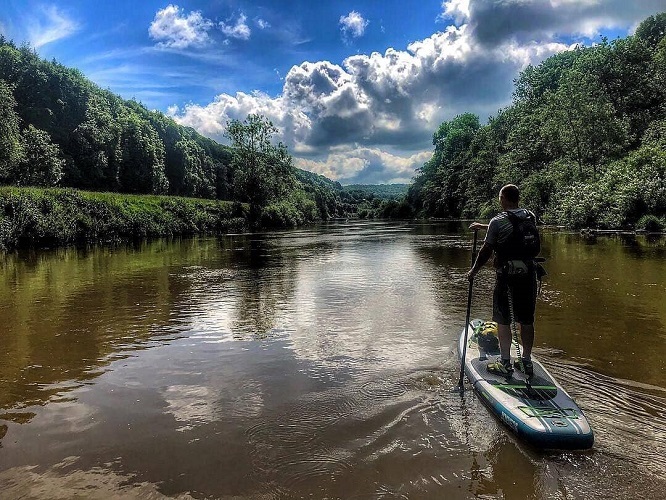 With beautiful colors and scenery that will make some amazing framed pictures (or an addition to your Instagram collection) paddling to a new location is a great way to see the sights. An alternative to hiking, paddling can also get you away from the crowds of people who flock to the mountains for the fall foliage viewing. Get an early start to your day, pack along your handy Watershed Drybag and head out on some of these fun journeys for your next adventure! A usually calm and peaceful ride, the Chattahoochee River runs through Georgia landing on the Alabama border and into the Florida region. The river is lined with trees that will be turning orange and red throughout October and into November. The Chattahoochee River is perfect for a canoe paddle or to take your fishing gear out for the day. Whether you get dropped off and picked up down the river, or leave cars at the put-in and put-out location grab a map from the visitor center and enjoy the views! 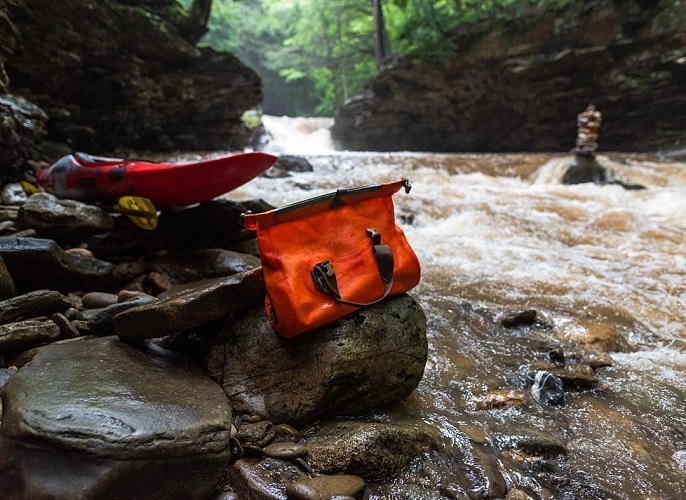 The Ocoee Drybag is a great option for a day trip down this river. Large enough to carry your camera gear, some snacks and some fresh water for the day this is a great way to ensure your valuables are kept dry! Looking to take the kayak out for some lake paddling? Price Lake in Boone, NC is found at milepost 297 on the Blue Ridge Parkway. A great place to see the fall colors and have some space to yourself! Spend the weekend camping in one of their various campsites or stay a day or two and explore some of the hiking trails nearby. Don’t have your own boat? Rent a kayak for $10 an hour at www.pricelakeboatrentals.com. Take along our Aleutian Deck Bag for a kayak trip around the lake. 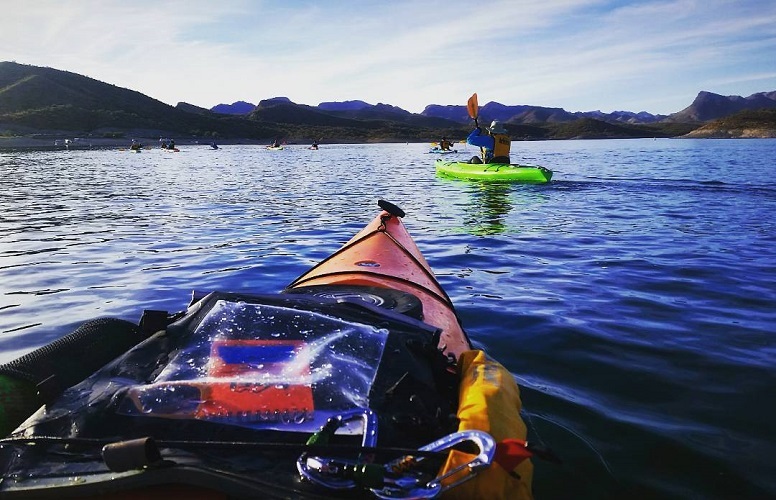 With an accessible clear map case on the outer section of the bag you can easily place your phone or map here for quick information while you paddle. With a convenient reusable water bottle holder on the outside stay hydrated and enjoy the views! About 30 minutes from Asheville, NC lies the Green River. Perfect for some whitewater kayaking fun make sure to know your route and plan accordingly. You can find the Green Narrows in this area consisting of Class IV and V rapids for the experienced kayakers. Bring along your trusty Futa Stowfloat drybag for this adventure. This float bag provides kayakers an ease of rescue if you swim and a flate/deflate tube so buoyancy can be adjusted easily. The Cumberland River travels almost 700 miles and drains a watershed of 18,000 square miles. Cumberland Park and Shelby Park and Nature Center are great spots to easily put in your boat. Enjoy the wide-flowing river and city-sights along the way! Pack along the Goforth drybag to keep your gear dry and store any fishing gear you may need. The Cumberland Rivers holds some beautiful brown trout, rainbow trout and Walleye if you keep your eyes open! Looking to take the SUP board out on some calm lake waters? Lake Allatoona covers more than 12,000 acres and has 270 miles of shoreline so there is plenty of room to explore! Head out in October for your best shot at seeing some fall colors. Enjoy the lake with ease with plenty of marinas, restaurants, camping locations and cabins available. 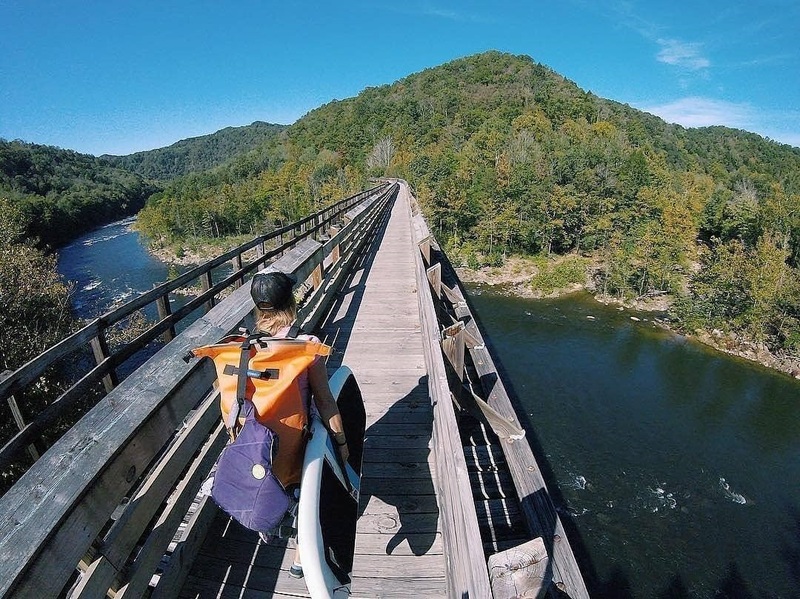 The Ocoee and the Goforth drybags are both great options for SUP paddlers. Where is your favorite paddling destination in the Southeast?